5 course bandurria, Catalan school, made of walnut and cypress in A (more typical) or in G. Tuned in fourths. 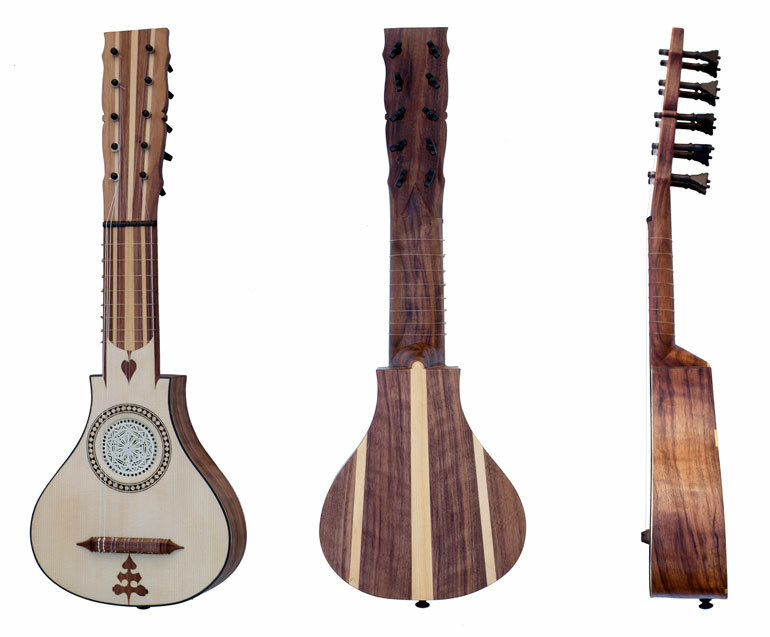 The bandurria seems to be the Spanish equivalent of the mandolin. Stringlength: 29cm.